Fright Meter Awards Blog: Fright Meter Films Announces its First Production, the 80's Throwback Slasher Film Party Night. Fright Meter Films Announces its First Production, the 80's Throwback Slasher Film Party Night. Troy Escamilla, President of the Fright Meter Awards, as well as owner and editor of the Fright Meter Blog, is extremely excited to announce the creation of Fright Meter Films. This independent production company will specialize in producing horror films for true lovers of the genre, as well as true crime documentaries. The first feature from Fright Meter Films is the 80's throwback slasher Party Night. Written by Troy Escamilla and inspired by such films as The Mutilator, Prom Night, and Hell Night, the film will focus on six friends who become prey for a sadistic psychopath when they decide to ditch their school's after prom party for their own celebration at a secluded house near a river. Escamilla is a huge fan of the slasher genre and promises that Party Night will not only be a wink and a nod to the heyday of the genre, but a frightfest in its own right. Currently in the early stages of pre-production, Party Night is anticipated to be filmed in the summer of 2016 in the Houston, TX area and released in late 2016. 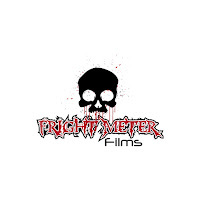 Executive Producer will be Troy Escamilla, who started the Fright Meter Blog in 2007 and serves as President of the Fright Meter Awards Committee, which is comprised of over fifty individuals including directors, actors, producers, and screenwriters. The committee nominates and selects the winners of the prestigious Fright Meter Awards each year. Escamilla is currently interviewing for a director who shares his passion for the slasher genre. 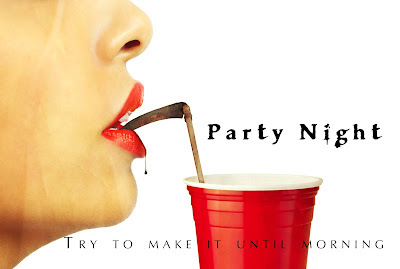 In the meantime, fans can keep up to date with the development of Party Night by liking the official Facebook page: www.facebook.com/partynightmovie, following the film on Twitter: @PartyNightMovie or checking out the upcoming website: www.partynightmovie.com. Escamilla hopes to launch the crowdfunding campaign within the next few weeks.